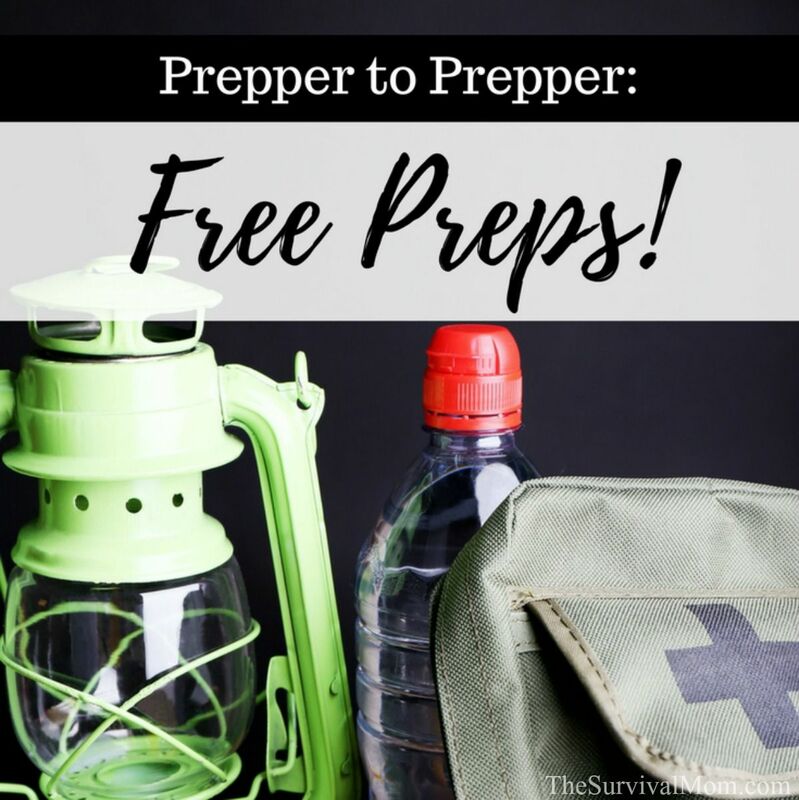 Prepper To Prepper: Free Preps! Who doesn’t love free? I have been welcoming free items as long as I can remember. Free hand-me-downs were a favorite when my five little kids were growing like weeds. Shelving and furniture freebies were also a reason to celebrate! What we get for free saves us money! Anything that can be used for your preparedness is a big bonus. We asked our readers to share with us some of the free preps they have received. My free preps are sort of nothing compared to all of those! Last summer I learned to make sourdough bread and the starters, and now I’m learning wines and fermenting foods. Geesh I have no medical training. I’ve been learning some about herbs…quite a bit, actually. Enough to know I got a long way to go! I also learned how to bake bread, biscuits, pies, casseroles, and green beans, all on fire outside! I stayed in our RV and used a cast iron Dutch oven. I didn’t think I was ever going to get the biscuits right! I love to cook. This week I’m to learn more about handguns. With a community of people, we could all have skills to help us in an emergency. My knowledge in gardening, 1st aid, medical, cooking, baking, knitting, crocheting, sewing, endless other crafts, etc. I’m an avid reader (while I still have my sight). Freebies from seminars, workshops, & other vendors are valuable. Knowledge- countless educational videos on YouTube. I was also given a nice tiller for free through Freecycle. Most of my knowledge has come from free books, free online courses and free classes and hours of studying. Kindle books on Amazon about prepping, on the group Preparing For SHTF. You can download the app (phone) or software (computer) for free on Amazon. Always check if the price is still free before downloading. 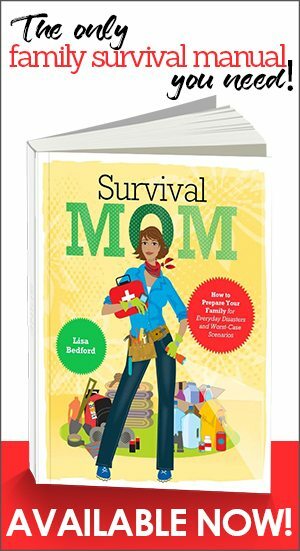 TIP- The Survival Mom book is a great resource to have for many scenarios. If there’s a chance you could have to leave your house quickly, also get her Emergency Evacuations book. 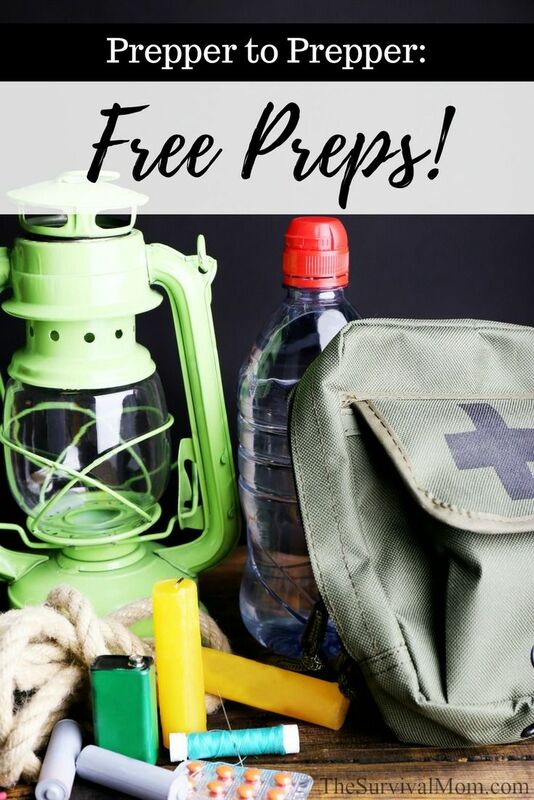 These aren’t free preps, obviously, but still excellent tools to have on hand! So many great books on survival at your local library. 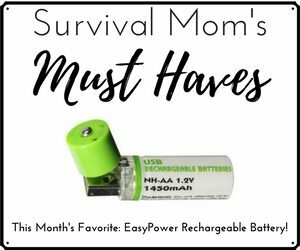 I especially like true survival stories. Free videos on YouTube on anything you want to learn about. Prepping blogs are great sources of free information. 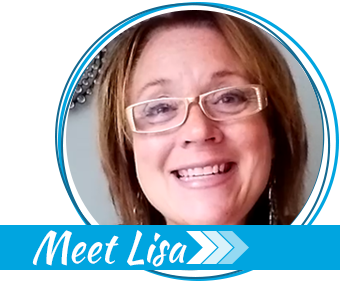 Several years ago, when I was an “extreme couponer,” I got tons of free products. The food consumables are gone, but still, have hygiene items like deodorant and shampoo in my stash from that time. TIP- Your public library has a multitude of benefits for its patrons, and you’d be smart to take advantage of the library’s free resources in order to build your “Free Preps” bank. Read here for more information about what the library can offer! Raised garden beds made from free pallets. Pallets for yard projects are free at several businesses in town here and we have gotten a few. Free samples. Our son works at a restaurant and we should be able to get some free food buckets. Although they will be empty, I’m sure we can find a use for storing supplies in them. I save cotton from vitamin and pill bottles and also large size pill box. Where I work they have plastic containers for bleach and other detergents, that the manager gives to me so. I use them for storage and planting containers. I also got towels and blankets, which some of them I turned into sleeping bags. Also, my job paid me to be CPR certified. Free used food grade buckets from my dad’s work (hospital). Also, knowledge learned from Facebook, Pinterest, and blogs. I have learned that it is OK to pace myself. I don’t have to buy everything right now and can take time to find what I need for free or for very cheap. TIP- Do you know what the most important free prep is you can do on your own? Take care of yourself. You can’t help others, or yourself very well if you are overwhelmed, stressed and out of shape. Here are some simple ways to feel better mentally and physically. We took CERT training. It taught us a lot and was free. My Gram taught me how to cook from scratch & am learning soap making from a free ecourse & YouTube. All the way from making lye from wood ash! My hubby has taught me to shoot guns & bows. Knowledge. As for goods, I recently was gifted with a couple dozen MRE type meals and as many cans of food. We get free food from Thrive Life because I sell it and get both the free food and 10% cash on purchases, including my own. 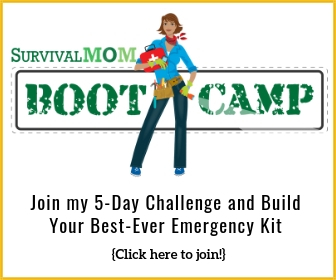 This has helped us reach our 6-month food storage goal rather quickly. Also, because we have an empty owl box in our backyard, a swarm of bees found it, moved in, and built a thriving hive with lots of honey. They left after a while but we got a lot of honey just from that one swarm! Try nailing an empty box to a tree and see if it lures a swarm looking for a new home. Unexpected free bunnies! We are now raising meat rabbits to breed & butcher. Have 14 total. Trained in Stop the Bleed, which is free. Turned in three fire extinguishers on recall, will get three back from the company. I have gotten free fruits for canning and jellies, candles, dry hair shampoo, seeds, deer meat, bottles of wine and meat. TIP- Life happens. Before it happens to you and you find your bank account empty and your pantry bare, here are a few ideas on where to find free food. Thanks to the many followers who were so willing to share some of the great free preps they have received. It was a helpful reminder to all of us that we need to continually educate ourselves, and we can do it for zero cost. There are so many resources on the internet and library. Be kind, and share this post with others- it is free! Now that I live in a wonderful community most things are free as long as I use my skills and what I can contribute in return. While not completely free, I do a lot of bartering with friends, neighbors, etc. Many have extra fruit and vegetables but no canning knowledge or equipment. I do the canning and get half the end product (everyone knows to return the jars for reuse ). Also my husband gets venison, we use our smoker and makes awesome jerky and we get to keep 1/3 of the results. It’s a friendly system that works!